Ready in under 2 minutes, this versatile counter package will serve your display needs! Whether it's displaying your products, holding literature materials or provides a platform for your promotional giveaways! 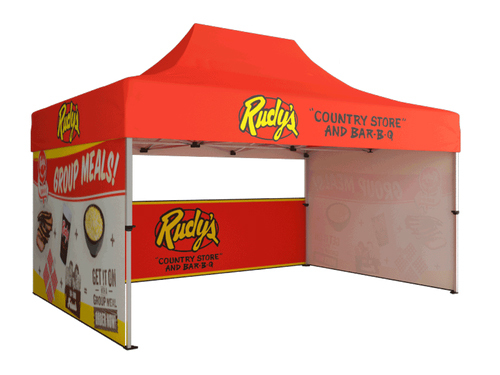 This counter package is ideal for trade shows, special events, or even as an in-office promotional tool for walk-in customers. Includes a black wooden countertop. 50 lbs max weight limit on countertop.